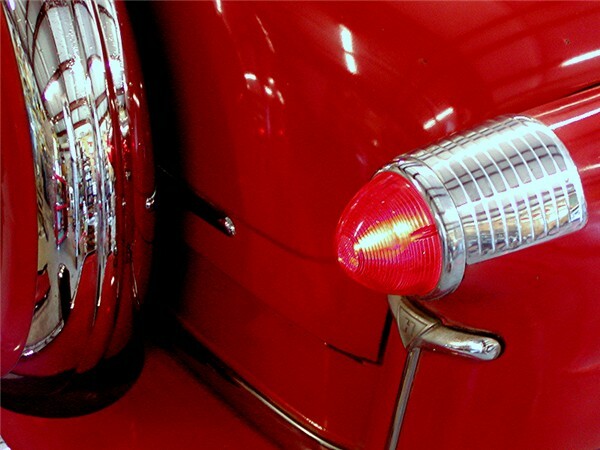 Style was the driving force in the automotive market following World War II. Prior to the war, great coachbuilders had created wonderful and dramatic bodywork for the cars of the wealthy. Occasionally some elements of these designs filtered down to mass-produced cars of the period, but true custom-built cars remained distinct, memorable and the province of the few. Following the war, practically all of the coachbuilders in the United States and many in the UK and Europe were gone, victims of the Depression. Only in Italy did the coachbuilder’s craft live on, predominately in clothing select and exclusive cars, but also increasingly in bringing high style to the products of middle-market automobiles as well. Detroit’s manufacturers looked to Italy for inspiration, style and craftsmanship in creating special cars that could provide design cues for the cars produced in their home styling studios. 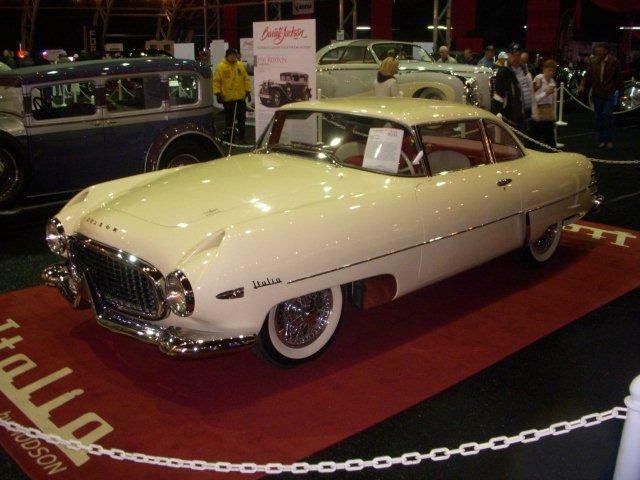 The best known example is that of Chrysler, who worked closely with Carrozzeria Ghia to create a series of special-bodied show cars, a few of which were produced in small series for sale to the public. Hudson entered the postwar market in an enviable position. 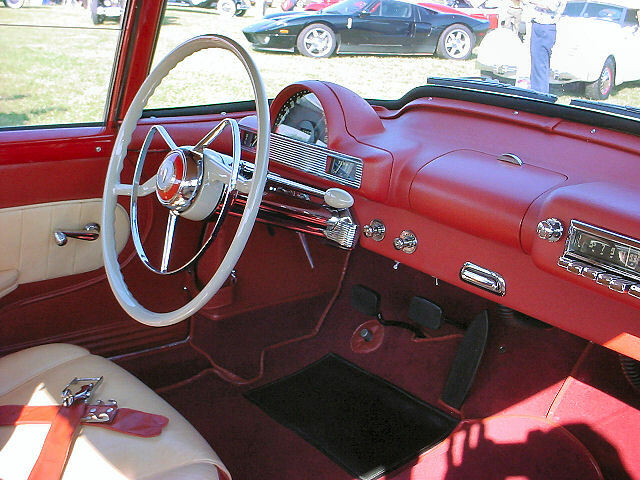 In 1948, the company introduced a dramatically styled unit-body car, nicknamed the “Step Down” thanks to its low design. Handling was also aided by the low stance of the car, and with the introduction of the Hornet in 1951, ruled the tracks of NASCAR for three consecutive years. A second, smaller model, the Jet, was introduced in 1953. 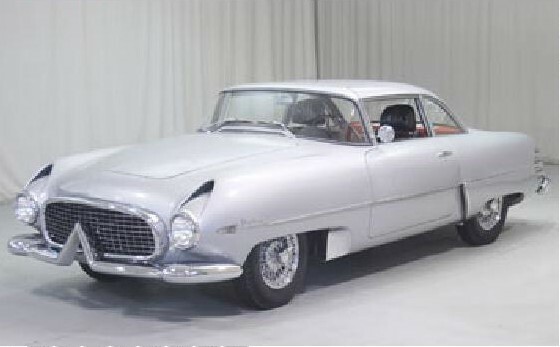 Looking for a way to explore design ideas for future models, chief designer Frank Spring made arrangements with Carrozzeria Touring of Milan to collaborate on the design for a grand touring coupe using the mechanicals of the new car. Touring, founded in 1926 by Felice Bianchi Anderloni, became well known for the elegant designs built on Alfa Romeo and Isotta-Fraschini. In the 1930s, Anderloni developed the “Superleggera”, or super-light method of body construction, in which the aluminum body skin was hung on a framework of small diameter tubing mounted on the chassis or platform. It greatly reduced the weight of the bodies in both sports and luxury models. They were seen most notably on the prewar Alfa Romeo 8C 2900 and the BMW 328. After the war, Touring continued to produce memorable cars for Ferrari, Alfa, Lancia, Pegaso and Aston Martin. 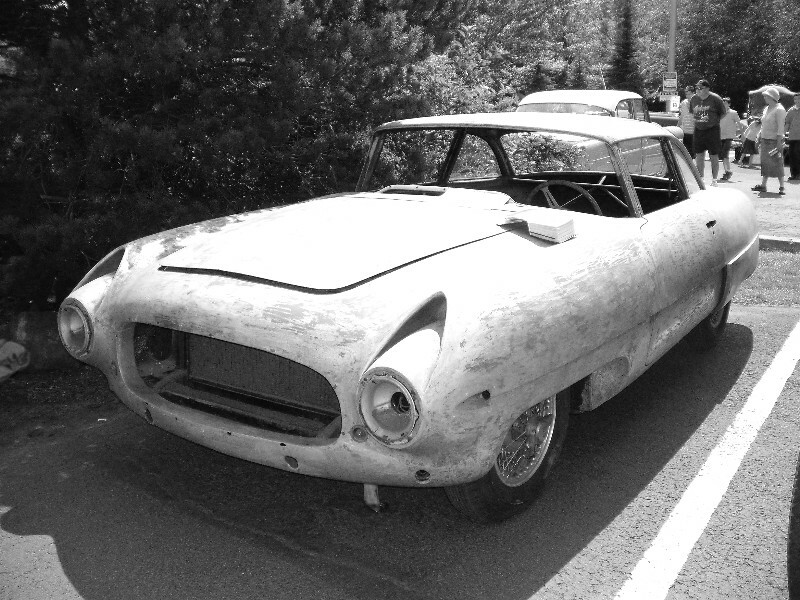 The car Spring and Touring created in 1953 clearly showed the strong influence of the jet airplane, which was also seen in the contemporary Ghia Supersonic design on the Fiat 8V, Jaguar XK120 and Aston Martin chassis, as well as Pinin Farina’s Lancia Aurelia PF200. It was a dramatic design, far more adventurous than any other done for an American manufacturer. The Italia was built on the Jet chassis and ten inches lower than standard Hudson models, already the lowest US production cars. It has a hand formed aluminum body built by Carrozzeria Touring. The v-shaped scoops above the headlights did more than echo the Hudson trademark upward “v” in the front bumper; rather, they were functional brake cooling vents. The stop, tail and back up lights were housed in three chromed tubes on the side of the rear fender, “jet exhaust outlets” in style, if not reality. 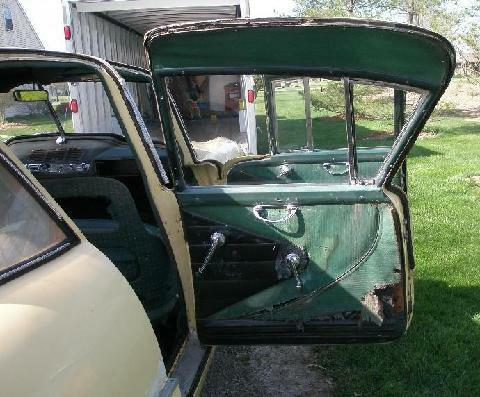 The top of each door was cut into the roof 14 inches to allow easier entry to the low car. Inside, “anatomically-designed” reclining leather bucket seats faced a clean, relatively chrome-free “non-reflective” dashboard. All cars were Italian cream in color with red and cream interior. Knock-off chrome Borrani wire wheels completed the look. The Italia also offered flow-through “draftless” ventilation utilizing a cowl vent and exhaust vents above the rear window. A press release from Hudson proclaimed the Italia to be “styled like no other car that has preceded it”, and highlighted its safety “due to its extremely low center of gravity, its ‘Monobilt’ body-and-frame and its cornering and braking ability.” Intended to be a prototype, the Italia was built in a small series of 26. It is possible that more could have been made, but the cars were ready at the very moment when Hudson entered its ultimate business crisis and merged with Nash. The new management had little interest in a wildly styled, Italian-bodied halo car, which had an eye-popping list price of $4,350 on the dock in New York. Other reports say the cost to the dealer for the Italia was $4,800. 114hp, 201.5 cu. in. inline six-cylinder engine, two dual-barrel carburetors, three-speed manual transmission, independent coil spring front and leaf spring rear suspension, four-wheel drum brakes. Wheelbase: 105"
Although the contour of the dash is quite modern, the Italia shares the same instrument cluster and radio as the Jet. Hornet Italia Door - Note door projection into roofline. Chassis 10001's last known location was Missouri. Condition believed to be #1. Chassis 10003's last known location was Connecticut as of 1995. Condition #1. Chassis 10004's last known location was OH. Condition #4. On left, Chassis 10007's last known location was Thousand Oaks, California as of 2014. Listed as Condition #4. Picture is from 2013 National in San Mateo sitting next to Italia #10025. These two only live about 1 mile away from each other! #7 was in the Paris show car in 1954 and sold directly to Sweden at the show. Current owner bought this Italia in Sweden in October of 1999. Chassis 10008's last known location unknown. Condition #4. Licensed as a 1955. Chassis 10010's last known location Michigan. Condition #3. Specifications: 114hp, 201.5 cu. in. inline six-cylinder engine, two dual-barrel carburetors, three-speed manual transmission, independent coil spring front and leaf spring rear suspension, four-wheel drum brakes. Chassis 10011 was formerly a part of the renowned Harrah’s Automobile Collection in Reno, Nevada, purchased in 1971 and immediately put on display. It is believed by some that this car may have been owned by the flamboyant entertainer Liberace, but no documentation has ever been found to support this story. The theory may have begun due to a penchant he had for personalizing his cars and the differences this Italia has from the rest. 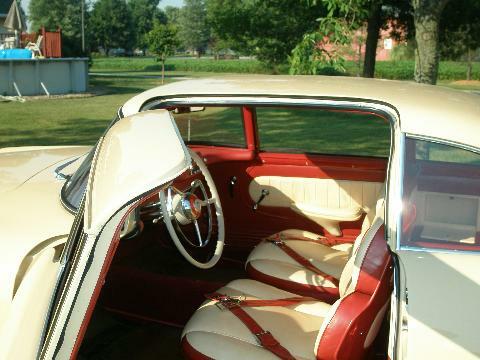 All were built in the same color combination, a cream exterior with a red and cream leather interior. This car has been re-sprayed in metallic silver and fitted with a black leather interior at some time prior to being acquired by Harrah’s. It also has musical note figures on the vent cover below the rear window. Additional research may ultimately prove or disprove the Liberace ownership story, but with or without it, any Hudson Italia is a very special automobile. The car has a large documentary file including correspondence to and from the Harrah’s Automobile Collection. The older restoration still shows well and it is reported to run and drive as it should. It is perfectly presentable as a driver or would serve well as the base of a concours restoration. Chassis 10013's last known location was Wisconsin as of 1995. Condition unknown. Chassis 10014's last known location was Ohio. Condition #2. Chassis 10015's last known location was Pennsylvania or Florida as of 1995. Condition #1. Licensed as a 1956. Chassis 10017's last known location was California as of 2013. Condition #1. Believed to be share ownership with chassis 10025. Chassis 10020 moved from California to Indiana in August of 2010. Picture taken at 2010 National HET Meet in Spokane, WA. Picture shows sale of car number 21 for $396,000 at the 2013 Barrett-Jackson auction in Scottsdale, Arizona. Click here for pictures and information on this award-winning Italia. Many enjoyed seeing this at the 2009 National in Detroit. It recently sold at auction on September 3, 2011 for $352,000! Chassis 10023's last known location was Denver, Colorado as of 2013. Owned by Smitti Pock, it has been in his family since his father and mother purchased the car new! We can look forward to info on the restoration of the Italia at a later date. Condition #4. On right, Chassis 10025's last known location was Thousand Oaks, California as of 2014. Listed as a Condition 3, it is a mostly original car. Owner also believed to have #10017. 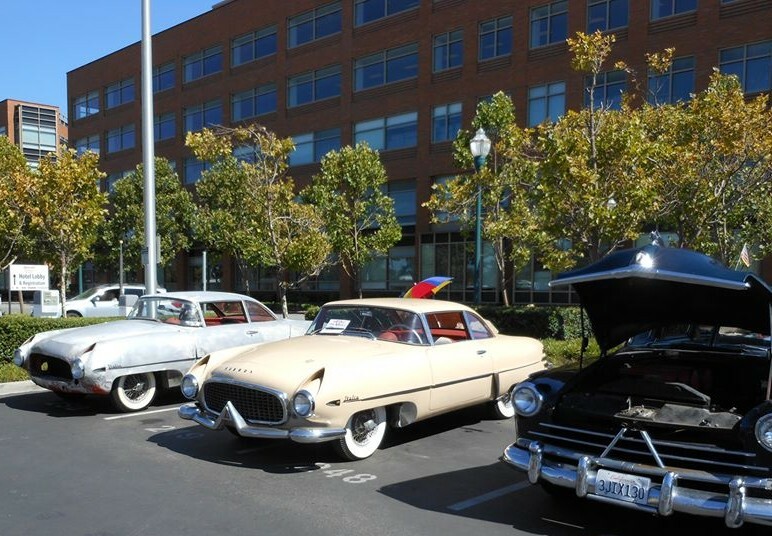 Picture is from 2013 National in San Mateo sitting next to Italia #10007.